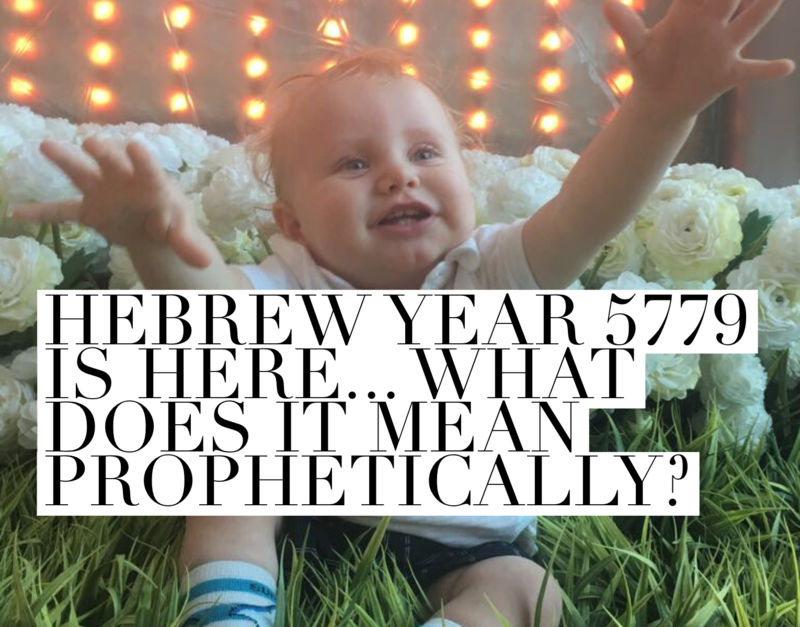 HEBREW YEAR 5779 IS HERE… WHAT DOES IT MEAN PROPHETICALLY? As of September 11th 2018, we stepped into the Jewish New Year 5779 (which overlaps our Gregorian calendar years 2018 & 2019). I heard the whisper of heaven, “It’s time”! This is a season of suddenlies, divine turnarounds, rapid repositioning, accelerated answers, new roads, new rivers, new income streams! As God’s children meet Him at His throne, also known as the Mercy Seat, earth and heaven will meet, the natural and super natural will collide, and in His presence He is calling us to pray, work, love, live, move, minister, and continually abide! We have an appointment with God, in Hebrew year 5779, New Year 2019 – signs and wonders, miracles and victories will resound! For God’s appointment the enemy would bring disappointment, for God’s right place for your life the enemy would seek to displace, for God’s call to obey every step of the way, the enemy ‘disses’ obedience, only obey anyway, for unity that brings blessings in marriages, homes, families, relationships, churches and businesses; the enemy would sow disunity, don’t let him. Be aware but don’t despair, victory is here. Victory has a name, His name is JESUS! ‘Dis’ is a person. ‘Dis’ is the one who sows discord. ‘Dis’ is the enemy of our souls and I declare by the word of the Lord we will be wise in this time and rise, seeing through God’s eyes, so that the dirty devil will no longer ‘dis’ the children of God, for instead of displacement, divine replacement, reappointment, and restoration has come to those who receive, believe and achieve through dependency on the Holy Spirit. As we burst into this new Jewish year ‘5779 and 2019’ it is time to rise and shine! It is divine reversal, divine restoration time! As mature children of God we will live from above and not beneath. I heard the Holy Spirit say “Awaken the morning with your prayers and praise, do not passively wait for the morning to awaken you! Break through the night and awaken the dawn. Dictate to environments and circumstances, do not wait for environments and circumstances to dictate to you! Change, divine change and rearrangement is here this year. Arise and shine your light is come”! God wants you to know with assurance that heaven’s solution is always bigger than hells problem. Look beyond the problems and chaos you see in your life and on the earth and as you see by faith, receive the solution that is yours to take, on your behalf and on behalf of others in the secret place of prayer! The Hebrew word for intercession means to “get in the way of” – that’s what we are called to do, get in the way of evil and replace with good! From previously living in Israel I have grown to love the richness of the Hebrew language and numerics. Nine in Hebrew is Teshah (f) Teshah (m). 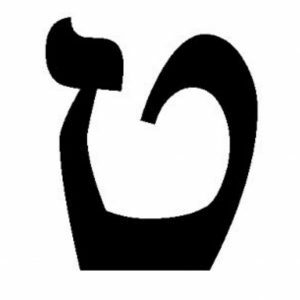 “Tet” is the ninth letter of the Hebrew alphabet and numerically equals 9. Pictorially it is illustrated below, and known in it’s ancient form to resemble a basket, womb, and even a coiled snake; – representing fulfilment, concealment, fruitfulness and multiplication. The devil (that snake) may throw his worst, try to squeeze the life out of the children of God, but we will see clearly, overcome, flourish, prevail and power through with the Word of the Lord, prayer and praise anyway. In Hebrew the number 9 has an element of paradox to it, double meaning…. so much goodness, multiplication, increase and blessing indicated by the basket but yet the snake coiled is right there longing to thwart God’s plans, to have it’s wicked way, to steal, kill and destroy! The call is going out to yield to the Holy Spirit, surrender your ways to walk in the spirit and His ways, then as the old chorus says “though the giants may be there our way to hinder, God will surely give us victory”. In this Hebrew year 5779 God is saying prophetically in the midst of evil we will know only goodness, blessing, miraculous increase and victory! The Lord has made this verse my living reality, may it become yours too. I believe the invitation is going out to Israel and the Church today – may we meet this divine appointment and not tragically turn away! God is calling his children higher and deeper – Holy Spirit led Kingdom living on earth! There is so much more than experiencing God’s presence annually at a camp or conference, even weekly at Church, or daily in your routine Bible reading and prayer time as great as all that is… To survive and thrive we must return and rest continually. God is calling afresh His children in this hour of His power to returning and resting in Him, in the Holy One who dwells within our spirit; depending, consulting, and leaning our entire lives, personalities and abilities on him. This is the place of power packed living and not inactivity but Holy Spirit led activity! Some tried to tell me this life was impossible, they said “you can’t live in God’s presence continually”, well, I just happened to be desperate enough to cry out to God “it’s the only life worth living – Jesus I’m hungry for all of you, I’m thirsty for more, it’s the only life for me, whatever it takes, by your Holy Spirit make it my reality”! God promises that in “returning and rest you will be saved.” This word ‘saved’ is the Hebrew word ‘Yasha’ and as well as meaning defended, delivered, helped and to get victory in every situation you face it means ‘open, wide, and free’! Only in dying to ourselves are we fully alive to God – ‘open, wide, and free’ in spirit, soul and body to be all He has called us to be! Then others will truly see Jesus and experience God’s unexplainable, undefinable and undeniable glory! God will bring to birth dreams and visions in your life that have laid dormant for years…. now mature and ready they will come forth. This is a season of new beginnings, stepping out by faith into the glorious unknown. “They that know their God shall be strong and do great things.” It is time for the above and beyond to come forth as the great, miraculous works of God are birthed through your life. It takes nine months for a baby to be birthed and a woman’s ‘due time’ to come round. Many have been through the discomfort and pain of waiting, your confinement is over, your concealment was necessary to mature all God will bring forth through you, prepared in humility this is your time to rise and shine in all God has called you to, appointed you for and anointed you to accomplish. To know Him, to show Him & His power is your only purpose on the earth! I see great, miraculous works being birthed on the earth in this hour of God’s power. The manifest glory of God will be unexplainable, undefinable and yet undeniable in and through lives set apart for Him! 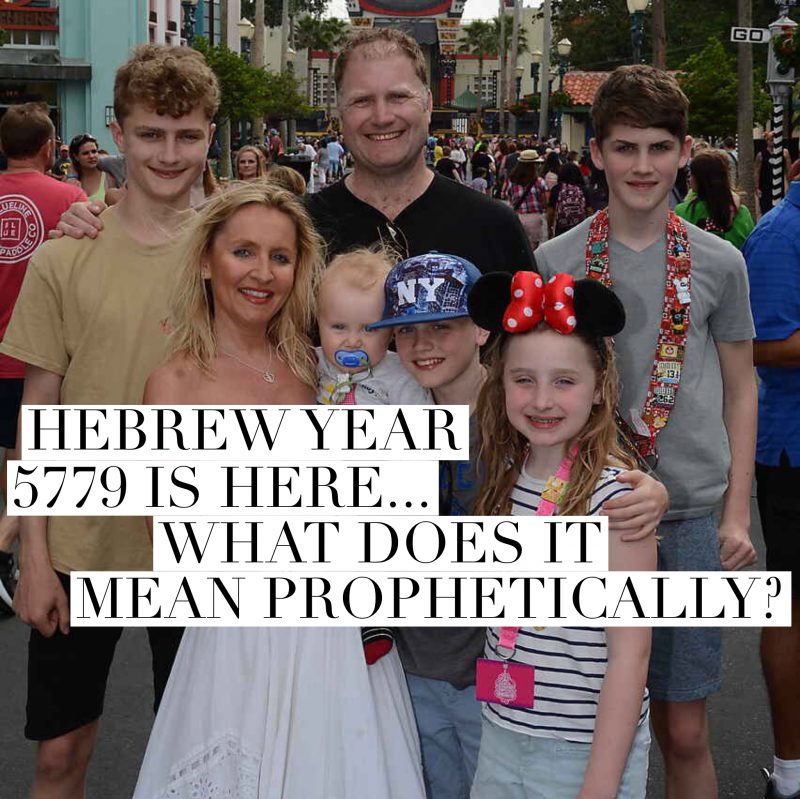 Due time is here, Hebrew year 5779 / 2019! Your basket will be full and heavenly supply will never run dry. You will always have more than enough. As for the snake, be aware, but don’t despair. He may rage, his anger roar, but he is a defeated foe. We will overcome Him with the blood of the lamb (the enforcement of Jesus finished work and victory), the word of our testimony (for every mess that dirty devil tries to make we will declare the message of miracles and God’s grace, get ready to tell story after story for God’s glory), and we will love not our lives unto death (simply meaning we will die daily to our own mind, wills, emotions and fleshly ways; to rise, live and walk in the spirit – what a glorious life of victory and praise awaits as we step through the gates of praise into year 5779, and 2019. Another powerful prophetic visual of this can be seen below of the Hebrew number 9 (Tet), representing man, either bowed to King Jesus and surrendered to the spirit or the evil influence depicted by the snake. 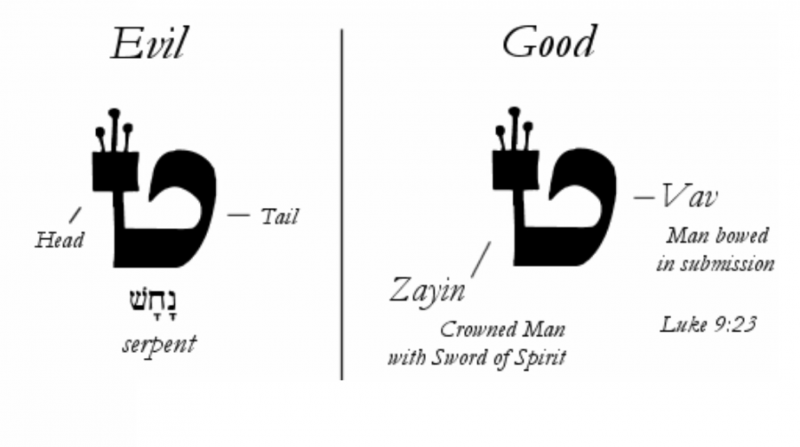 In the Hebrew number 9 depicts duplicity, and prophetically for year 5779 and 2019, a choice is clearly evident. To bow to God and rise in the power of the spirit or passively follow the dictates of the snake, by yielding to and not dying to the demands of our fleshly desires and soulish ways. There isn’t a politer way of putting it, I tried, and realised I only compromised the warning and reality. I have heard the voice of the Lord and followed His lead as He simply said “Come up higher. Come away with me. It is time to go back in humility to go forward, you must go back to accelerate in me, you must return to living, resting and depending on my Holy Spirit and walking only in the spirit. All across the earth and in my glorious Church there is a repositioning and returning to me”. The number 9 is known to be the expression of the power of the Holy Spirit….. Wow! There are nine fruits of the Holy Spirit, nine gifts of the Holy Spirit, the calling to prayer was at the ninth hour – as children of God we are full and filled with all we need to succeed. Our prayers will bring change, and rearrange the enemies plans. The number 9 is used to define the perfect move of God, this will be a pure, unadulterated move of the Spirit of God in and through our lives, for those who will surrender at His throne. We will discern the voice and leading of the Living God by the power of His Holy Spirit over and above the dead voices that try to drown Him out. It matters what voice you give attention and power to. God’s still small voice will bring love, joy, peace, patience, kindness, goodness, faithfulness, gentleness and self-control, as promised in Galatians 5:22. May we never underestimate the power in His voice. How sweet is the fruit His voice and His Holy Spirit produces in our lives, opposed to the dead internal voices of our emotions, intellect, will & then there are the external voices… The texts, emails, social media and demands bombarding from every direction; screaming for our distraction and attention. Their fruit is comparison, competition, conflict, confusion, inadequacy, jealousy, anxiety, stress and strife! There are nine gifts of the Holy Spirit depicted in 2 Corinthians 12:8-10: wisdom, knowledge, miracles, healing, faith, prophesy, distinguishing of spirits, speaking in tongues, interpretation of tongues. There are gifts within you that God is about to release through you in this hour that have been dormant, and in some cases, you had no idea were there. Receive them, step out in faith and use them, they are God’s heavenly gift to you and His mandate over your life. Within your spirit God in His fullness abides; may that awesome truth be your greatest reality and dispel every lie. You are enabled, empowered, enlarged and deeply loved. You are gifted, highly favoured, a force to be reckoned with on the earth as a victorious, overcoming child of God! Walk on, walk strong, the days may get darker but everywhere we walk as children of God, His life in us will awaken the dawn, light will burst through darkness and we will overcome! Shanah Tovah U’metukah (Happy, good & Sweet New Year) Israel and all who have ears to hear…! Praying a Happy, blessed and the best New Year, 2019! According to God’s Word, so be it! Jewish New year, Rosh Hashanah, is from Sundown, Sunday 9th September to Sundown Tuesday 11th September 2019. If you liked what you just read - please share with your world and spread the word! Thank you for your caring, sharing heart! A Very Good and Thorough Word! Thank you for spending the time in bringing it! How can september be the new year when the passover was between march and april ? Did the same happened as the Catholics did in changing the Sabbath for the sunday ? Hi William, there are 2 Jewish new year celebrations, one in spring around Passover and the other, now the most notable, celebrated by Jews all over the world in September/October, Rosh Hashanah. The First of Nisan (Spring) was considered the new year for counting the years of the reigns of kings in ancient Israel. It is also the new year for ordering the Jewish holidays or Feasts as they are known. It is closely linked with the festival of Passover; and the first day of Nisan is seen as the anniversary of the founding of the Jewish people when they escaped from Egypt during the Passover story. Rosh Hashanah is seen as the anniversary of the creation of the world, agricultural new year and celebrates God as Creator, King and Judge. It can be easy to get bogged down with so much weight of theology as Christians but from experience of living and celebrating these Feasts (Appointments With God) in Israel there is something about sharing in the understanding with our Jewish brothers and sisters that then brings joy, enlightenment, prophetic revelation and life giving freedom! I believe that is God’s desired takeaway for us as his children. I do hope that helps. God bless you. Beautifully expressed and so accurate! God is amazing. Thank you so much. Right. The New Year begins in the spring for sure. Hi Mary, there are 2 Jewish new year celebrations, one in spring around Passover and the other, now the most notable, celebrated by Jews all over the world in September/October, Rosh Hashanah. The First of Nisan (Spring) was considered the new year for counting the years of the reigns of kings in ancient Israel. It is also the new year for ordering the Jewish holidays or Feasts as they are known. It is closely linked with the festival of Passover; and the first day of Nisan is seen as the anniversary of the founding of the Jewish people when they escaped from Egypt during the Passover story. Rosh Hashanah is seen as the anniversary of the creation of the world, agricultural new year and celebrates God as Creator, King and Judge. The best way to bring understanding to why there are two is to think of UK/USA with their Fiscal new year/tax new year, Gregorian New Year etc serving different functions… It can be easy to get bogged down with so much weight of theology as Christians but from experience of living and celebrating these Feasts (Appointments With God) in Israel there is something about sharing in the understanding with our Jewish brothers and sisters that then brings joy, enlightenment, prophetic revelation and life giving freedom! I believe that is God’s desired takeaway for us as his children. I do hope that helps. God bless you. As you read His word and apply His promises to your life expect heaven’s best and miraculous outcomes in every situation and regardless of what you face! Faith is a choice – place your faith firmly in Jesus, surrender to Him and allow His love to lead you into all He has for you this year! Have a little re-read of the meaning of Tet in the article and be blessed! Love and prayers to you! Thank you – God clearly has a season of New Beginnings before you! Walk in His goodness and provision confidently this year! He is a GOOD FATHER! God bless you. Thank you for these powerful, insightful, encouraging words. Praise God! God bless you as you activate His word and promises for your life in 2019! God bless you abundantly! Love. Thank you & God bless you as you walk in the power of His Word! The Lord has so much to reveal to you this year as you lean in with an open heart and ear to Him! Get ready for more…. This was truly what I needed and I’m thankful the Lord places it on my heart to do some research. I’m in great expectancy of what’s God has in store for me this year. God bless you!! Thank you for this word. I have experienced some “suddenlies” in the year 2019 and I do not want to miss what God is doing and going to do through this test. I want to give Him all the glory. Next PostNext THERE IS A WHOLE NEW ORDER COMING… A God Word for 2019!